Summer is the perfect season for a lightly roasted salad like this Shaved Broccoli, Tofu and Fennel dish that can come together quickly. The dietary fiber in salads loaded with raw vegetables tends to be hard to digest, leading to symptoms such as stomach pain and gas. Lightly cooking your vegetables can make them much easier to digest, so if you’re craving a light and refreshing dish during the summer heat but want something that is easier on your digestive system, this dish is for you. Don’t be intimated by the multiple steps in this recipe. Each one is incredibly easy to execute. 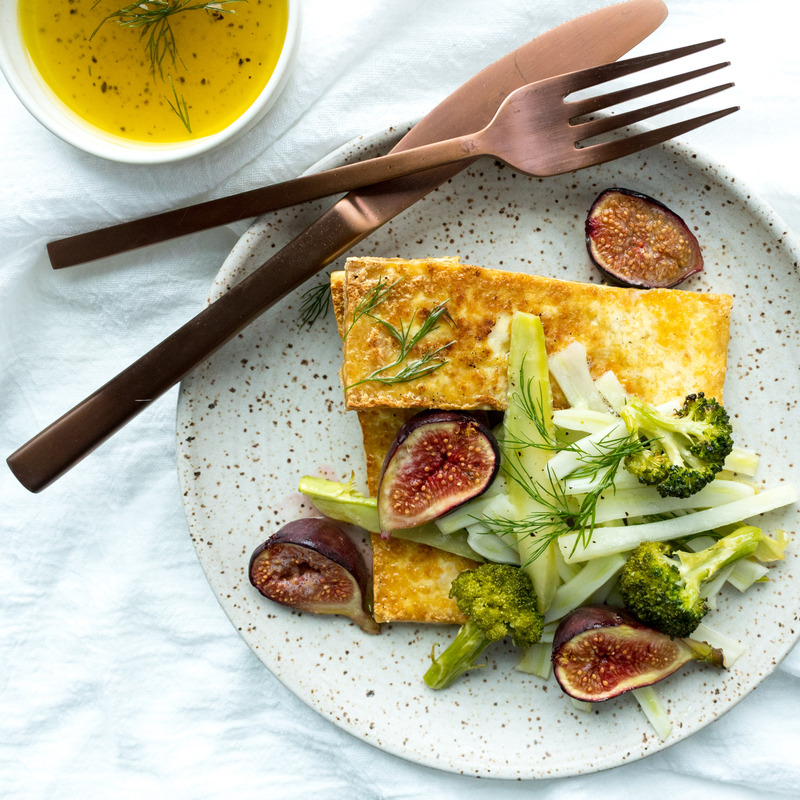 Fennel is the star of this recipe and is an often-underutilized nutritional powerhouse, mostly because it can be intimidating to cook with at first. With its licorice-like flavor and numerous health benefits, fennel has been used in natural remedies for thousands of years. Fennel is used for various digestive problems including heartburn, intestinal gas and bloating as well as upper respiratory tract infections, coughs and bronchitis. 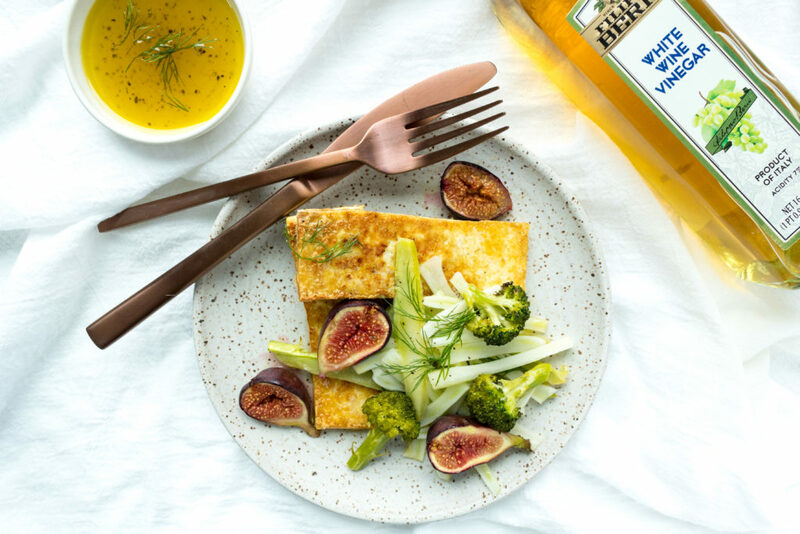 The strong licorice-like flavor of fennel is balanced in this recipe with the sweetness of figs as well as the pungent flavors of the Italian White Wine Vinegar and the Organic Extra Virgin Olive Oil found in the quick and easy vinaigrette. Both Filippo Berio products are made with 100% non-GMO sourced ingredients. Leave a comment below if you make the recipe! In a large bowl, toss the broccoli, tofu and fennel shavings. Pour over the dressing, and toss to coat. Add figs. Season the salad with salt and pepper, garnish with dill. Thank You Filippo Berio for sponsoring this post and thank you for supporting the brands that make this blog possible. As always, opinions are my own.